Sweeteners play a role in a number of home baking projects, whether it’s in muffins, cookies, cupcakes, breads, or other baked goods. It’s important to understand what the various sweeteners are and how you can incorporate them into your baking. This is most likely what you will use in a majority of your baking. An array of recipes call for white sugar, or light brown or dark brown sugar. 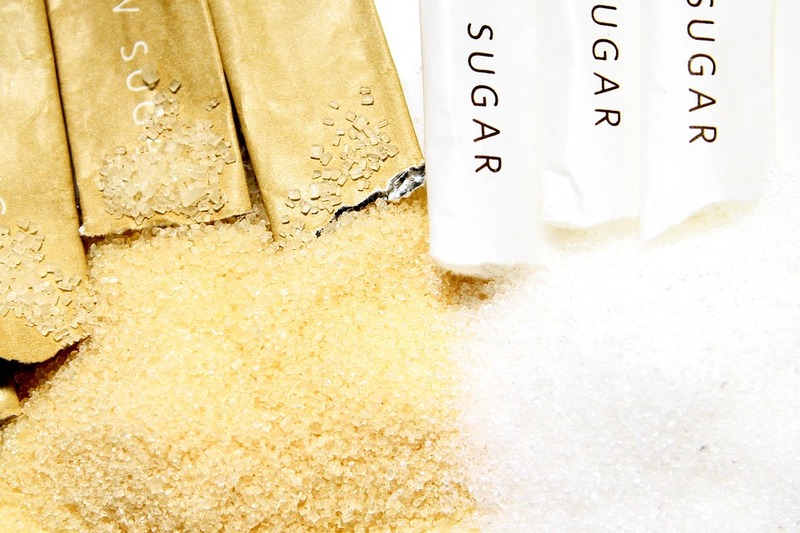 White sugar is manufactured from sugar beet or sugar cane. Coarser white sugar crystals have a place in baking as a decorative on baked goods. An example of a powdered sugar is icing sugar (confectioner’s sugar). The finest confectioner’s sugar is utilized in icings, whipping cream, as well as sweets. Light brown, yellow, and dark brown sugar are a form of sucrose that is less refined. Inherent in these less refined sugars is a molasses taste. Dark brown sugar has a more robust molasses flavour. You can prevent brown sugar from hardening by storing it in a sealed container and putting it in the fridge or freezer. Allow time for it to thaw from the freezer – it will get back to that just right consistency; allow time for it to get back to room temperature if you stored it in the fridge. Alternatively, you can place a piece of bread in with your light, yellow, or dark brown sugar. The moisture from the bread will keep the sugar soft. Molasses (treacle) also comes from sugar cane. In essence, it is the syrup left over from sugar cane processing. This is what is left after the promptly crystallisable sucrose has undergone removal. It undergoes less refining than brown sugar. Molasses are used in darker breads. We’re talking the real thing here. Don’t confuse real maple syrup with the artificially flavored syrups that have very little or no real maple syrup in them. Because of their more robust caramel flavor, Grades B & C maple syrup are more frequently used in cooking and baking than the lighter and more subtly flavored Grade A maple syrup. Grade B is the best for baking. Maple sugar results when the sugar maple’s sap is boiled longer than required to produce maple syrup. All’s that is left is solid sugar when most of the water from the sap has evaporated. It subsequently undergoes more cooking until it becomes the crystallized, granulated type. The unique and nice taste of maple can enhance baking projects. Maple buns anyone! Honey is a sweetener that comes in a host of varieties. You can choose a particular type of honey to suit a specific type of baking. For example, you may want to try a strong-flavored honey for whole grain breads. You can use a lighter honey in a traditional white bread recipe. Of note: There are whole wheat bread recipes that call for maple syrup, honey, or light molasses as a sweetener. Corn syrup is glucose and its principal ingredient is typically corn starch. It is less sweet than cane sugar. You usually see it as golden-brown in your supermarket, although there is colorless product that’s available as well. To a certain extent acidic, corn syrup can react with baking soda. This creates carbon dioxide, which helps the leavening process. You can use the less-sweet corn syrup in place of the traditional syrups utilized as sweeteners. Golden syrup is a product of sugar cane – raw sugar – produced from evaporated sugar cane juice. Its consistency is akin to glucose corn syrup; however, it is sweeter than glucose corn syrup. It can be used for glazing as well. Consider the above-mentioned sweeteners as you plan your home baking projects. Understand the characteristics of each so you can, in turn, have a better understanding of that recipe that calls for a specific sweetener.